 The Scene Magazine - What's up Toronto? Space movies have often veered towards either the action-packed or the cerebral. High Life definitely falls into the latter category, with it owing quite a bit to previous science-fiction films of this ilk like Solaris and Silent Running. Director/co-writer Claire Denis is mostly intent on exploring humankind’s libido and how our sexual desires shift when placed in an isolated environment, although that mostly makes up the second act of the film. The other portions of High Life are primarily focused on themes of fatherhood, with Robert Pattinson providing a strong performance in the central role as a criminal forced into being an astronaut. The best section of High Life is the first act, when Pattinson’s Monte is alone on a space station with his baby daughter. There is very little dialogue in this portion, with Denis primarily allowing the visuals to serve as exposition. Everything is clear right off the bat on what is happening with these two passengers and the predicament they’re in. There is a genuine connection and a real indication they are father and daughter. Denis plays with contrast, too, with the baby looking almost out of place in this cold and uninviting location and that is obviously intentional. It’s almost a bit sad when this part of the story ends, because it is riveting. The second act, when incarcerated criminals are sent to the space station, provides its own thought-provoking ideas. Humans are a sexual species and Denis explores how different people deal with that when placed in isolation. Each character thrust onto this space station has their own distinct reactions and are properly developed. These aren’t particularly likeable people, either, leading to some horrible and despicable choices on some of their parts. Denis does go a bit overboard with the sexual imagery at times, though. She never relents on showing the complete repercussions of the astronauts’ actions, especially Juliette Binoche’s obsessive scientist and her frequent experiments. The third act is solid, but ultimately the weakest section as the pacing feels a little slower and not quite as engaging. At this time, it feels like all of the points have been made and the pacing is affected as a result. What was engaging about the beginning of High Life doesn’t quite materialize here, although Denis chooses a smart note on which to end on. Pattinson is in all of the sections and he showcases the differing emotions Monte is feeling. There are many points where he is not saying anything and his expression says everything about his character’s state and he turns in a remarkable performance. High Life won’t be for everyone, but not because of the philosophical ideas it wishes to convey. Rather, it’s due to the film’s uncensored and frank portrait of sexual frustrations and how each of us react differently to our inner drives and desires. While the science-fiction influences are quite evident, it doesn’t change the originality in Denis’s concept and direction and the unusual way in which this story is being told. The decision to divide the story into three distinct acts also works and various viewers will have their own favourite section. The final result is a solid space movie that will keep one thinking about its images after the end credits have started rolling.